Designer’s Manufacturing Center, Inc., or as we like to call ourselves DMC, is where your ideas and visions can become a reality in any home, business, or yacht. 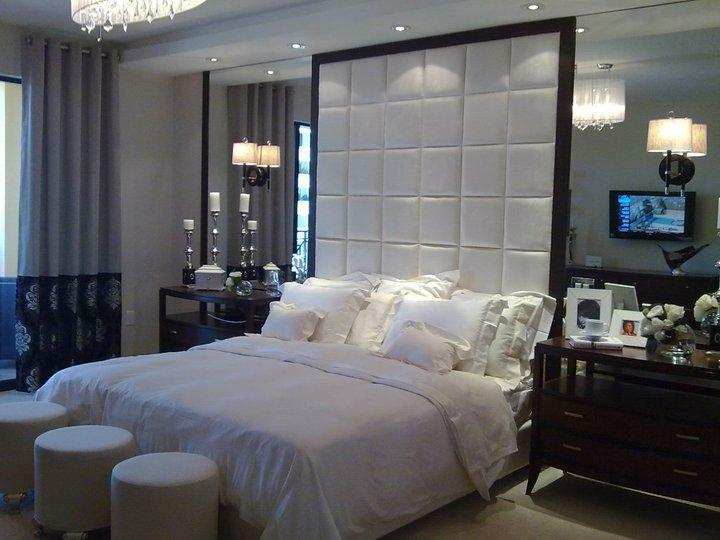 We specialize in custom furniture, draperies, window treatments, and reupholstery. There is no job too big or too small. We can do projects that range from reupholstering sofas, patio furniture or dining room chairs, to building and upholstering beds, window treatments, and full wall upholstered panels. Robert Lutz, CEO, has a passion for this industry. Making certain that every project is done precisely as well as beautifully so that the final outcome looks effortless and nothing less than incredible. Below are pictures of our newest completed projects done at DMC. 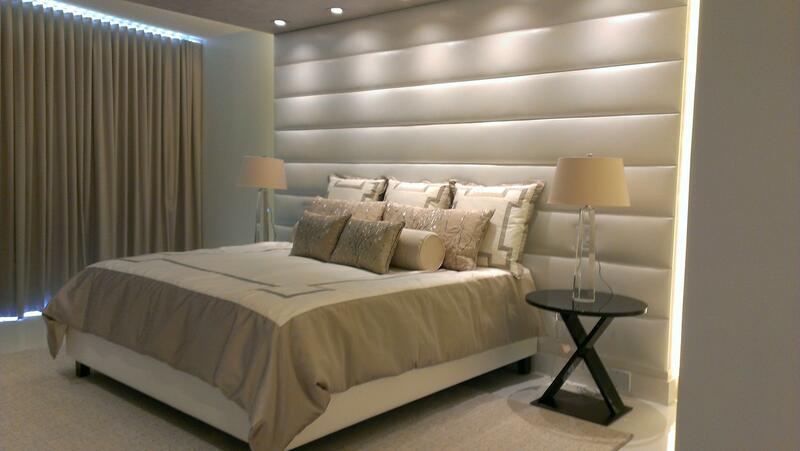 In this picture we created the upholstered panel headboard wall with its matching upholstered bed box on wood espresso feet. Also, the duvet, which has a Greek keycut onlay design with matching euro pillows and coordinated throw pillows. 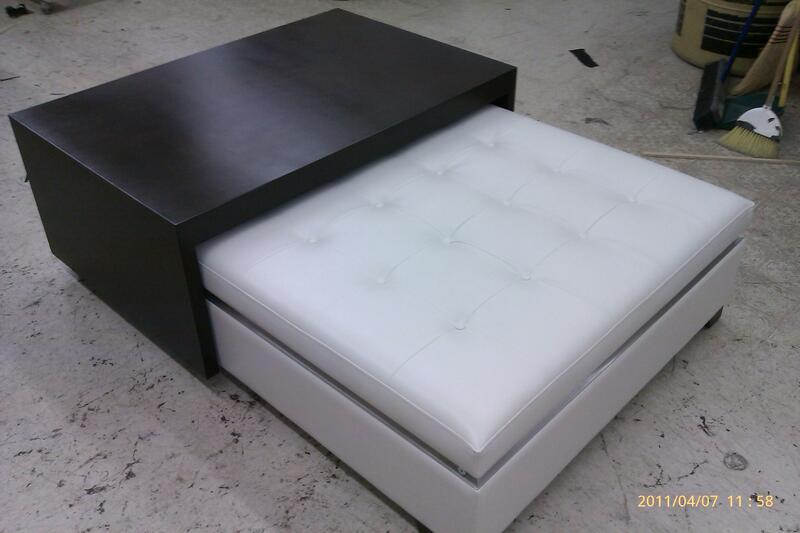 Here we have done a biscuit tufted headboard and bedbox with chrome legs, and a matching bench. 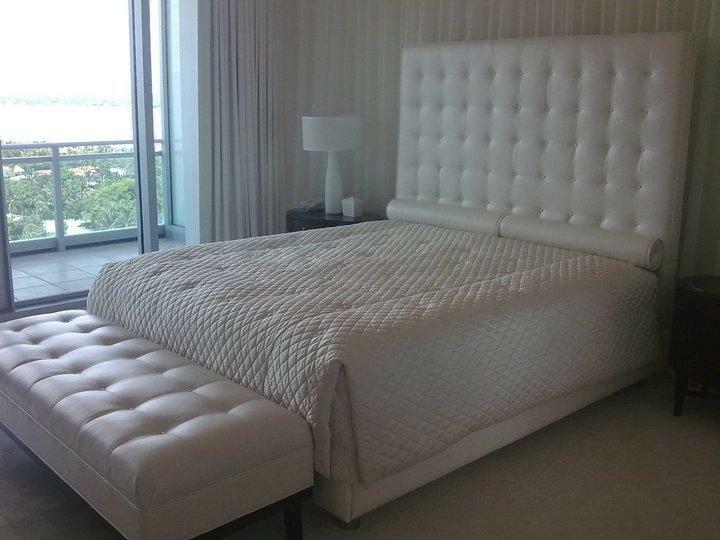 The bed box was designed around a motorized box spring. 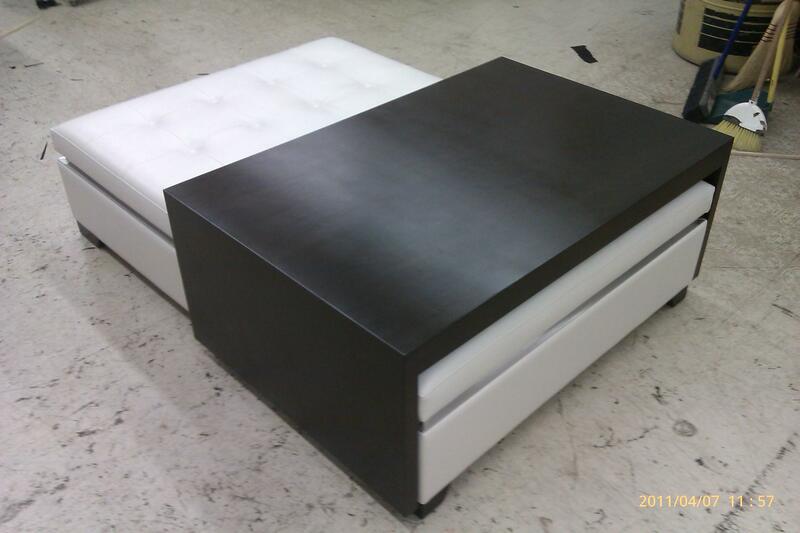 A beautifully done espresso wood frame headboard with individual upholstered panels and a matching espresso bedbox. The three ottomans, and the stationary gromant top rippofold side panels. This is a Rolling Coffee Table, created by Robert Lutz. 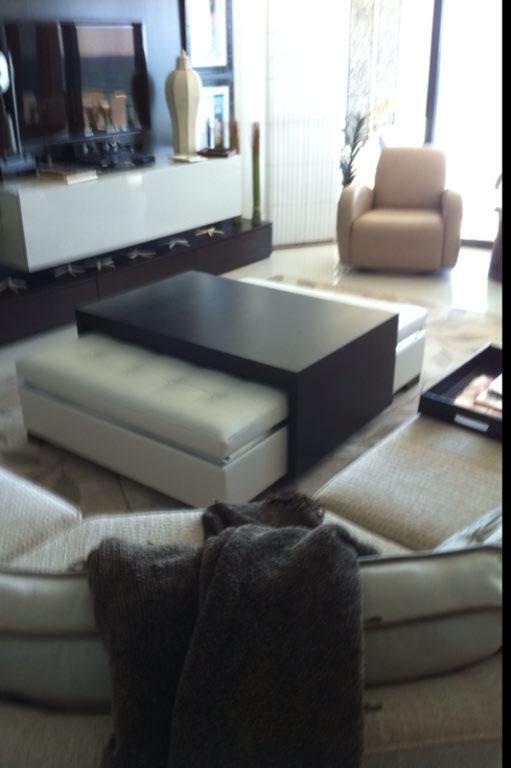 The table can be moved effortlessly, with the touch of a finger, from one side of the ottoman to the other. Now, with our unique rolling system combined with a table and ottoman, there is no need to pick up and move a saddle table. If you’d like to discuss what we have to offer or receive any estimates, we are here to answer your questions - give us a call!